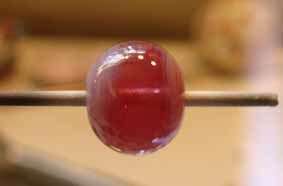 I saw this tutorial on Facebook through the fan page of Art Glass News Weekly and I thought I’d share it with you guys. 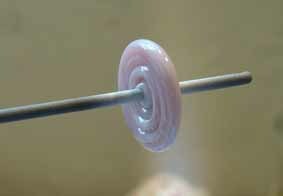 When most bead makers make little round beads they’re not really round. they tend to be more like donuts. I should know, I make tons of little donut beads. Round requires a bit more effort. Well here’s a great tutorial on how to written by Diana Ferreira of Deesigned Beads. She’s based out of Cape Town, South Africa. Don’t you just love how the internets brings us all together. 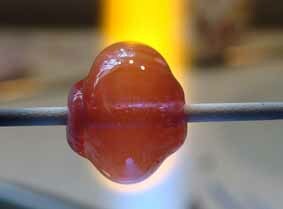 I really like her approach to making a round bead…it comes out round and that’s a good thing. Sometimes you don’t want a donut bead, you want a round one.